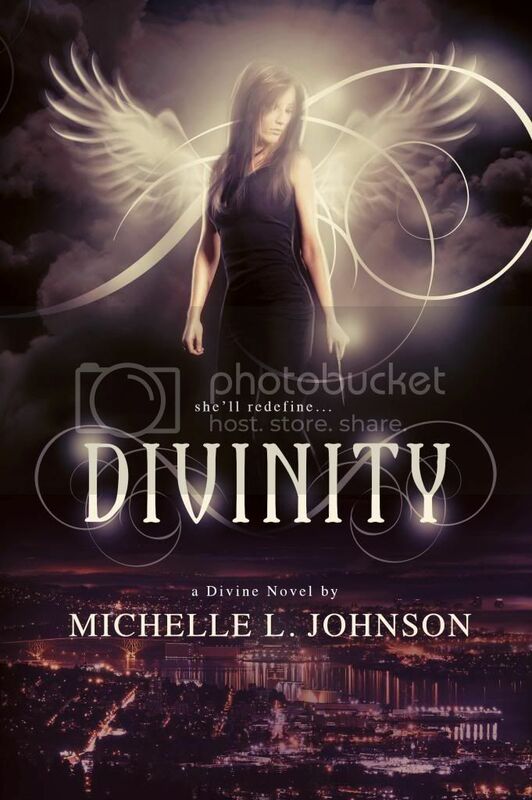 Welcome to The Cover Contessa's stop on the Divinity blog tour! When Julia climbs into a flaming car to save a trapped child, she's left wondering why either of them survived. Then she learns that her father is the Archangel Gabriel, and that she is half human, half Archangel. With guidance from Michael, the most powerful Archangel, Julia sets out to discover her own history and explore her angelic powers. But her journey is cut short when an evil force, invisible to human and angel alike, tears her world apart. Now Julia must fight through her despair, harness her newfound gifts, and risk her very soul to stop the A'nwel and protect the family she never knew she had. What she doesn't know is that Archangels have secrets too. I really wanted to be a doctor when I was young, so I spent all my time imagining what that would be like and acting out scenes while bouncing my red rubber ball against the wall of our house. Then I wanted to be a famous flute player. Then Han Solo. Then, a person who wrote and produced plays. Then an Olympian. Then, a teacher. Then a saxophone player. Then a doctor. But I always wrote stories and read stories. It was my hobby. I didn’t realize it could be a thing you wanted to do. It depends on the book. I’ve written a book in six months, one in six weeks, and one in three years. If I plot the book out first, I can write it very quickly. But if I leave the story and the characters up to their own devices, they often take me on a journey that involves a LOT of editing and restructuring on the back end. The themes just happen, though the theme for the sequel to DIVINITY came to me when I was sitting in Chuck Wendig’s theme seminar at the Pikes Peak Writers’ Conference. He challenged everyone in the room to come up with one, and out it came. You’ll have to wait for the sequel to see that that is, though! Balance is something that I struggle with every single day. I am a workaholic, and I don’t consider writing work, so it is often hard for me to put time aside for it. But when I ignore my writing too long it tends to throw a tantrum and make me pay attention. Tension is the thing (other than characters that hook readers) that I think is most important to make a good story great. Tension from multiple sources, internal and external. The hardest thing about writing a book is when I don’t and it wants to be written. Three completed books. DIVINITY is my favorite for all the things it has yet to show you. The Archangel Michael is my favorite. He’s so funny I often have to cut out his funniest lines because he has really inappropriate timing. In my office at home, or on my laptop on the couch, or on a legal pad when I’m flying. Best stuff usually comes from the legal pad. Everyone loved my first mystery, but none of them have read DIVINITY yet. I love traveling and attending conferences and helping other writers get their books published. Just start writing. Don’t think about it, just go ahead and do it. And don’t be afraid to write what makes you uncomfortable, and don’t let people discourage you. I have so many books that are my All Time Favorites. Dune. The Stand. Taltos. Kushiel’s Dart. The Wheel of Time. Kiss the Girls. A Time To Kill. To Kill a Mockingbird. Animal Farm. Lord of the Flies. The Book of Three. PS I Love You. Are You There God, It’s Me, Margaret. The Great Brain. Trinity. The Witching Hour. The Lion the Witch and the Wardrobe, Charming. The Diary of Anne Frank. Too many to name here. Each one of them shaped me in some way. Favorite authors: All of those that wrote all of the above books and more. Too many to mention, and truly each and every one of them inspired me to write in some way, but I think it was the time I picked up Stephen Kings newest book (at the time) and when I started reading I had the sensation of familiarity, like slipping on a comfortable shoe that fits you just right and I thought “Ah, it’s so good to be home!” about his voice. That was when I knew I had to do this. Michael, who is my significant other, helps me talk through plotting and edits pretty much everything I write. I have a couple of friends that tolerate my bouncing ideas off them as well. They’re all in the acknowledgments in the back of DIVINITY. Right now I am working on the sequel to DIVINITY, the sequel to my mystery series, and a new collaboration project that is something totally different for me. Top secret though, sorry! Thanks so much for stopping by today, Michelle. It was great to have you here. Good luck with your book!